There has always been a countless number of TV shows and movies that depict terrifying tales of hauntings that end up resulting in horrifying and hideous deaths. This isn’t something any of us hasn’t seen at least once on our televisions, but in reality, do any of these stories really have their basis? While hearing stories about poltergeists has become a common thing, is there anyone out there who has actually died from encountering a ghost? If so, that would be extremely horrifying and something we wouldn’t wish on anyone. And today we’re here to find out if any of these stories actually hold some truth. While there isn’t a coroner out there who has ever been known to record a specter as the official cause of someone’s death, there’s enough documented evidence that has been put out for there to realistically suggest that there might just be some actual truth to all of those tall Hollywood tales we often hear about. Some of these stories make it hard to believe that is couldn’t be an actual possibility that a ghost was involved. Evidence is evidence, and it isn’t something we can ignore due to the fact that so much of it has been publicized already. Here, we are going to take a look at the stories of ten people who have had their deaths linked to the supernatural and ghostly in one way or another. You be the judge as to how much truth lies behind these terrifying tales. 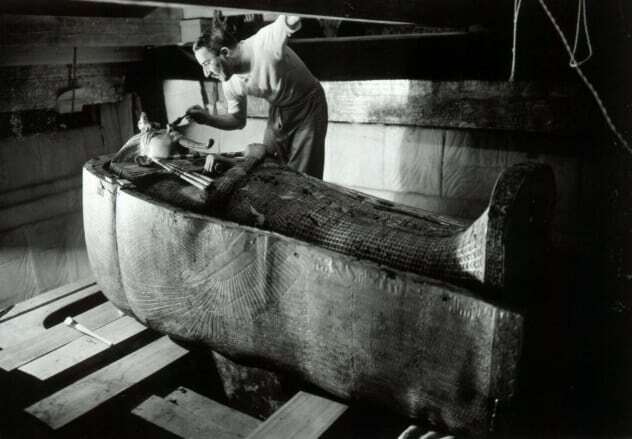 The pharaoh Tutankhamun’s tomb was discovered during the early 1920s from within the Valley of the Kings, which is an Ancient Egyptian burial site that dates back all the way to the 16th century BC. Howard Carter, who was a British archaeologist uncovered the virtually undiscovered tomb together with the fifth Earl of Carnarvon. This haul of finds was so amazing that it would go on to become a sensation for worldwide media. However, the press also seized on all of the tales that were saying a curse would fall onto anyone who would desecrate the pharaoh’s tomb, and it just so happened that Lord Carnarvon himself met a very untimely death in Cairo shortly after. The famed Sherlock Holmes creator, Arthur Conan Doyle, helped fuel the rumor’s fire by stating to the press that an evil spirit was responsible and ancient Egyptian priests had summoned it to assist in protecting their pharaoh in death which could’ve potentially taken Carnarvon’s life. While over time, all of this speculation might’ve diminished, the years to follow would see a string of deaths of several people who were a part of the team that initially uncovered the pharaoh’s tomb, or in one way or another were involved in the proceedings. Among the death toll was Richard Bethell, who was Howard Carter’s secretary and was allegedly thought to have been smothered in his sleep to death in 1929, Arthur Mace, who was a member of the excavation team and was murdered in 1928 by arsenic, and last but not least, Sir Archibald Douglas Reid, who held the responsibility of X-raying the pharaoh’s mummy and in 1924, ended up being the victim of a mysterious death. Could an ancient ghost of Egypt really be responsible for these eery deaths?